Fine Art at Nepean Arts and Design Centre: FREE Part time courses in Fine Arts: enrolling Tuesday June 28! FREE Part time courses in Fine Arts: enrolling Tuesday June 28! 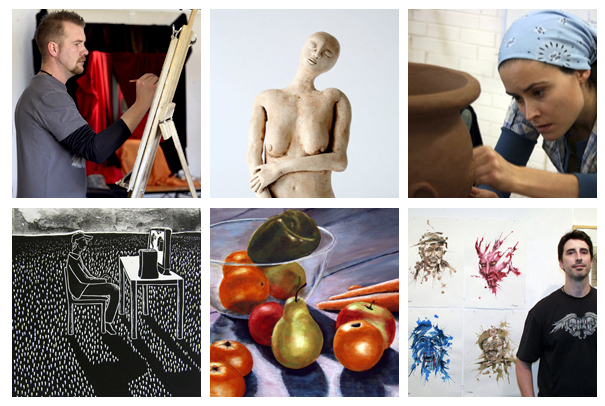 Nepean Arts and Design Centre at Western Sydney Institute is offering the wonderful opportunity to enrol in a FREE part-time course in either ceramics, printmaking, painting or drawing. Each course runs for 3 hours per week for 18 weeks, and there are no entry requirements other than a willingness and a commitment to undertake the course. Our classes run in the evenings from 6pm-9pm, plus one Saturday course. Printmaking is held on Tuesday evenings, drawing on Wednesday evenings, and ceramics on Thursday evenings. Painting is held on Saturday morning from 9am-12 noon. The courses are suitable complete for beginners, but could also be undertaken by those who need a refresher for their art practice. As well as raw beginners our classes may also suit artists wishing to explore a new medium, or highschool art teachers wishing to undertake some professional development. It may be possible to enrol in more than one class. NADC fine art teachers are all professional artists and instruction is by demonstration and studio practice. Class sizes are limited which means each student has the opportunity for personal feedback, as well as the benefit of group instruction. Enrollments are being taken in person at The Nepean Arts and Design Centre from on Tuesday June 28. There is an information session at 10.30am, and enrolments follow from 11am until 7pm. For a course information leaflet, which includes details on when and how to enrol, visit the course info page of our website, and click on the link to course # 9069 Statement of Attainment in Skills for Work and Training, for the area that you are interested in (painting, printmaking, ceramics or drawing).